You would think I would get better at estimating how long things take, considering I’ve been knitting for over ten years. Seriously, I should be better at this. But I have managed to mess up a straightforward triangular entrelac shawl several times, but I got a beaded one finished in a quarter of that time. You would think the beaded one would’ve been more difficult. I’ve made so many of these, I went for something a little different on the picture. So here is Dinosaur modeling this one. 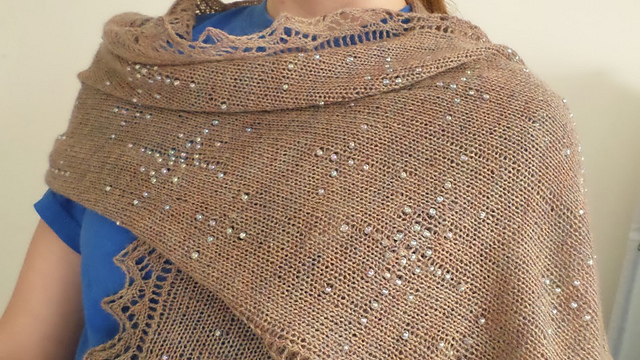 It is a Starry Stole from Knitpicks, worked in Shadow yarn in the Midnight colorway with silver-lined, clear beads. 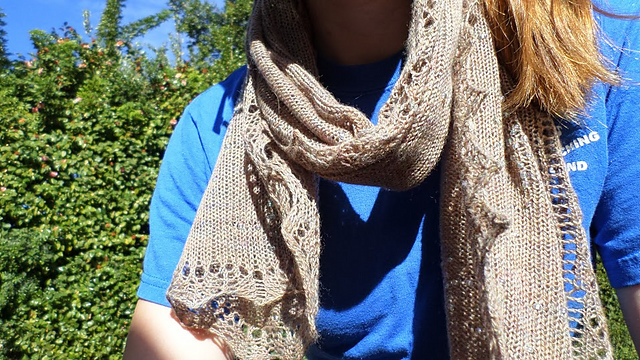 As I have done on all the others, I added a third full repeat to make it more scarf-length. I’m finally re-doing the christmas scarf, hopefully to be done with it soon. That one may turn into a bit of a tutorial. It sure has taught me quite a few things. In the midst of the many other projects I have going on, I needed to make some quick valentines for the kids I babysit. I originally was trying to make a couple things, but in the end it was taking too long and I just went with the smallest, fastest ones I had. The oldest boy had found a beaded bracelet in a shop that he liked, but his mom wasn’t about to spend over $50 for a bracelet for a kid. I thought that was a little insane as well, so I decided to go back to another craft I had abandoned a while before and make him one. But what I make for one, I have to make for all. Luckily this was around the time I was thinking of valentines anyway. I made one for each, with their initial in the middle. That way there will be no fighting over whose was whose. I had originally planned out the pattern, but then ended up messing up early on and created the rest of the pattern as I went along. Once I had one finished, I used it as a template for the rest. Then, because I decided to give up on the second thing I was making (which will now likely become Easter presents), I was ready to make the cards at 10:00 at night. And I had no red paper. And I had been to the craft store earlier that day to get crimper beads…Anyway, I made the colored paper again and cut out hearts. Then I cut the spots for the bracelets wrong and ended up having to tape the bracelets in place in the back. That is what I get for doing this at bedtime the night before I needed to give some of them. I made my first starry stole for one of my grandmothers for Christmas. I was hoping to have two done by Christmas time, but like most of my plans to make presents that didn’t pan out. 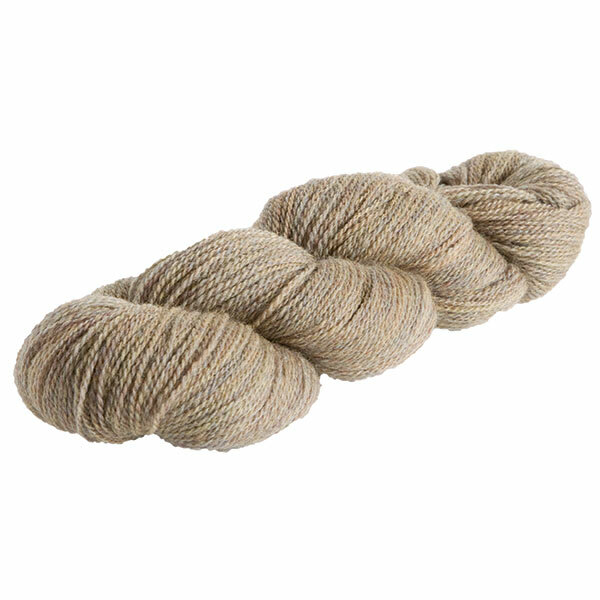 I bought the Oregon coast colorway of Knit Picks Shadow thinking it would be a much lighter,more neutral color from the picture on the website. I am actually very happy that it turned out darker than I expected. The color is similar to beach sand (hence the Oregon Coast name) with subtle rainbow-esque variations within the colors. Unfortunately, this meant I needed more beads than I ended up with, due to quite a few beads that were unusable for the project. Either the holes were too small or they didn’t even have holes. Whatever the case, I had to improvise. Luckily, by doing both sides at once I was able to put the different beads directly in the center so they are all directly in the back and it won’t be noticeable. Though I did have some gold beads that made it less noticeable, anyway. I really like the way it came out with the added length, so I am going to do that for the last two as well. Makes it easier to keep it on the shoulders. This message brought to you by Captain Obvious. 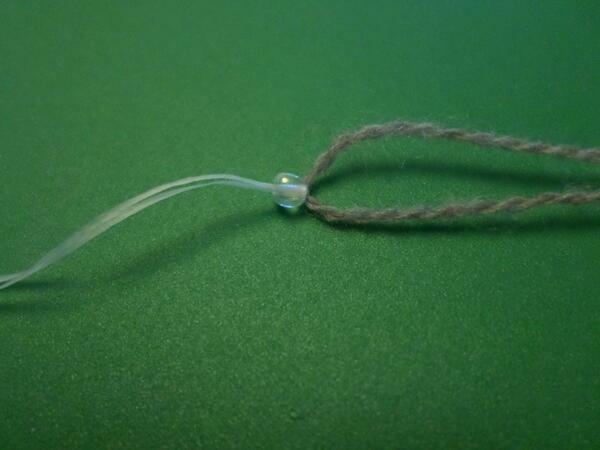 Annoying, but effective if you have floss lying around and not a tiny crochet hook. But I kept avoiding working on this project because, again, 350 beads plus having to go through that whole thing for each individual one equals not exactly fun. So I finally hoofed it on over to Michael’s (is it still hoofing it if you ride a bike? I have no clue), and got myself a size 12 crochet hook. Much better, much faster, much less frustrating. I get the bead, make the stitch, and thread the bead all in one smooth motion. Definitely going to save my sanity on a project which actually has 700 beads. The 350 is just for this half.